A newsreader of ABS Television modelling. Courtesy Photo. 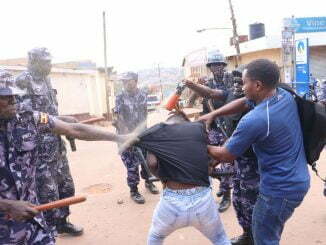 The Uganda Communications Commission (UCC) has indefinitely suspended the broadcasting license of ABS Television owned by city ‘pastor’ Augustine Yiga of the ‘abizaayo’ fame. In his September 5, statement, Godfrey Mutabazi, the UCC executive director, cites repeated breach of minimum broadcasting standards by the free-to-air channel as the reason for the suspension of the license. 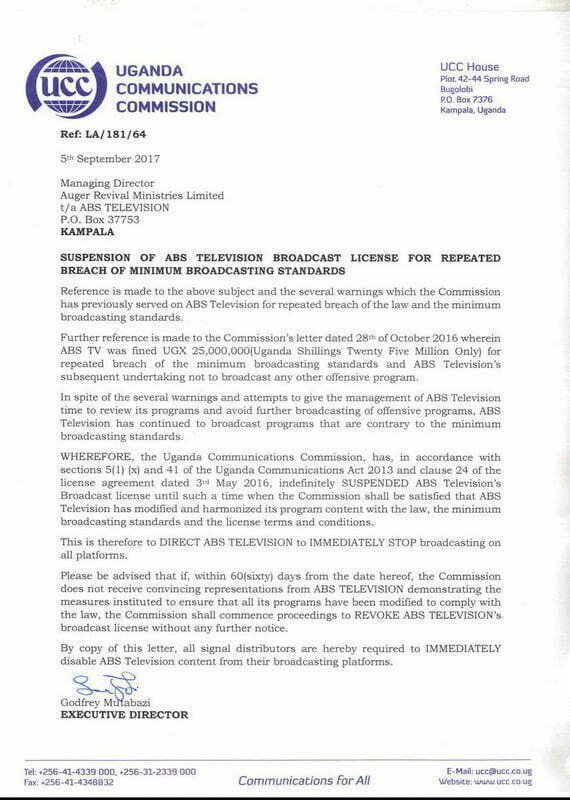 “In spite of the several warnings and attempts to give the management of ABS Television time to review its programs and avoid further broadcast of offensive programs, ABS Television has continued to broadcast programs that are contrary to the minimum broadcasting standards.” reads part of Mutabazi’s letter. UCC says that several warnings served to ABS have been ignored. 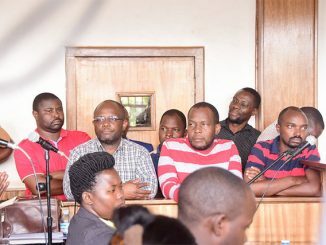 The Commission also cites its October 28, 2016 letter where ABS TV was fined Shs 25 million for the repeated breach of the minimum broadcasting standards after which, management undertook not to broadcast any other offensive program. Mutabazi directed ABS to immediately stop broadcasting on all platforms. He also warns that his Commission shall commence proceedings to revoke the television’s broadcast license if it does not within 60 days receive convincing demonstration of measures instituted to ensure that all its programs have been modified. 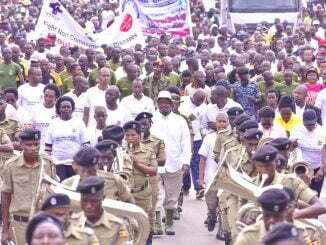 “All signal distributors are hereby required to immediately disable ABS television content from their broadcasting platforms.” Mutabazi directed. ABS is known for a number of programs that have on several occasions drawn sharp criticism from the public. Recently, ABS started broadcasting news where female anchors dress skimpily and keep changing dresses on live TV during newscast breaks.